When you own a license and you’ve got your own ride, hiring a party bus can be more of a last resort for you when it comes to the daily commute. But there are times when choosing to give up the steering wheel to a cool and hip party bus ride has its own benefits. If you’re scratching your head just thinking how that could be so, yet interested enough to be on this page, reading on will be worth the while. If you’re the designated driver for the guys or girls night out to the city, then you’re probably familiar with the tired stretched feet that comes with a long drive. And not everyone on-board will be a willing companion to stay awake with you while sending the rest back home in the wee hours of the night . Hiring a party bus allows you to sit back with the rest of the gang in the passenger seat and enjoy the trip. It also means you preserve some energy to enjoy at your party destination, instead of feeling so tired from driving that you end up missing out on the happening experience. There’s a big event or concert, and parking slots are becoming scarce. You then have to allow the rest to alight early and start enjoying the event while you hunt for a parking spot alone for an hour or two and that may even be quite a distance away from your venue. After a fun yet tiring day at the event, you now have to head on back to the car alone and pick-up the rest up who are comfortably waiting at the lobby area. Hiring a Party BUS for the duration of your events gives you freedom as your driver will be at your disposal to pick you up and drive you where you need to go with your companions. You can do club hopping and party till you drop and going all out on your event without having to worry about being too tired to drive. Hey, you owe it yourself to have some fun too right? Drinking and driving is definitely a no no. So if you’re out to have a good time with friends, hiring a professional driver is definitely the way to go if you want to drink and have fun. Better still book one of our Party BUS with Karaoke and get into party mode plus you’ll get to sing along on your way to the real party or event. This part is more appropriate for an important event or maybe even a special date. Instead of being behind the wheels worrying about traffic, the route or even parking, you can kick back at the passenger seat and the ride while arriving at the event in style . If you’re out on a special date, being in the passenger seat with your date gives you more time together for conversation without the distraction of driving. If you’ve found these reasons agreeable and are now looking to hire a ride for your needs, you’ll want to hire a ride that you know you can trust. Choosing MaxiCABooking SG to hire a party bus ride for a family member or friend’s birthday, bachelor or hen’s night, company or local events or even sending them off to the airport. Whatever your transport need is, MaxiCABooking SG is ready to provide it and can be conveniently booked online through our website. So let a professional drive for you, book with MaxiCABooking SG. 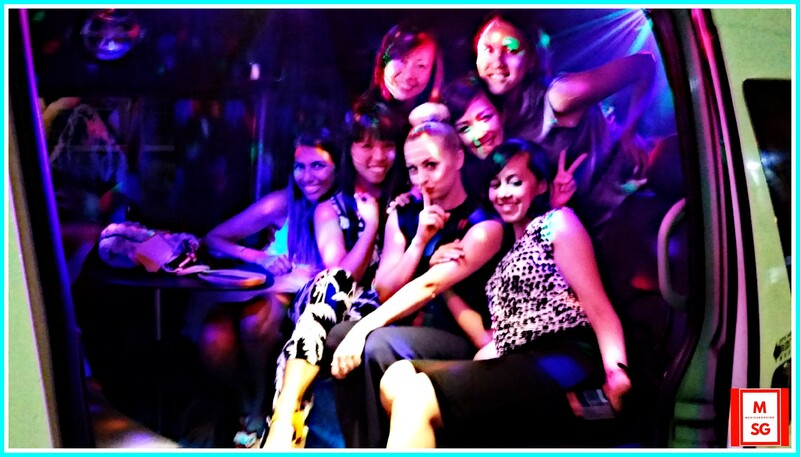 This entry was posted in Party BUS, Party BUS Singapore and tagged party bus in singapore, party bus online booking, party bus rates, party bus singapore, party limo bus, party van, party van hotline, singapore party bus booking, singapore party van booking. Bookmark the permalink.